Unfortunately, there is no cure for knee osteoarthritis, but there are a variety of treatments for managing its symptoms. Some of these treatments include medications that can help relieve pain such as acetaminophen. Additionally, non-steroidal anti-inflammatory drugs are helpful for reducing swelling and discomfort. 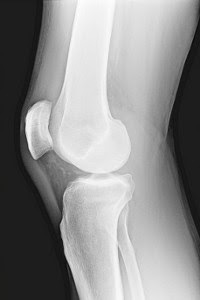 Aside from medications, there are a variety of knee braces capable of relieving the symptoms commonly associated with knee osteoarthritis. Single-piece knee sleeves are characteristically made with neoprene and are the simplest type of knee brace available. This particular type of brace is slipped over the affected knee and provides warmth, compression and additional support. These braces are an excellent choice for mild to moderate osteoarthritis pain and may be purchased over the counter at most drug stores. An unloader brace is a semi-rigid knee brace constructed from plastic. These braces feature metal struts located on either side of the leg which limits lateral knee movement and provides increased stability. Unloader braces are best suited for individuals suffering from severe osteoarthritis pain and discomfort. These braces are also typically custom fit for the wearer and may be ordered from an orthotics store. Whether purchasing a simple knee sleeve or an unloader brace, it’s important to always consult your health care provider prior to using any orthotic device. About the Author: MMAR Medical Group Inc. is a supplier of shoes for diabetics, cold therapy systems and orthopedic medical products including a wide selection of medical support braces. For quality back braces, including a wide number lumbar and cervical braces, please visit www.mmarmedical.com.